1.Family history. Anyone with a parent or sibling with type 1 diabetes has a slightly increased risk of developing the condition. 2.Genetics. The presence of certain genes indicates an increased risk of developing type 1 diabetes. 3.Geography. The incidence of type 1 diabetes tends to increase as you travel away from the equator. People living in Finland and Sardinia have the highest incidence of type 1 diabetes — about two to three times higher than rates in the United States and 400 times the incidence among people living in Venezuela. 4.Age. 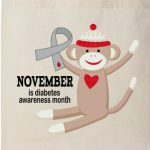 Although type 1 diabetes can appear at any age, it appears at two noticeable peaks. The first peak occurs in children between 4 and 7 years old, and the second is in children between 10 and 14 years old.